Everybody loves food. Now you can order your food globally and expect it to be deliver to your doorstep with the touch a mobile app! The app’s functionality is very simple: you indicate your ZIP code and you will be given a list of the nearby restaurants as well as the menus for member establishments. Place your order through the app and you will receive a message indicating your order is confirmed and the time of delivery. Extremely convenient. With just a few weeks of its launch, Foodpanda has actually rolled out to additional countries in the past few weeks, which include Saudi Arabia, Ukraine and Romaina. 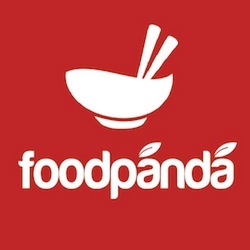 Rocket Internet has also rebranded its Russian Foodnation brand into Foodpanda, in order for the app to run under one single brand. One of the thinking formula that creatives often lacks is the ability to make an impossible dream possible. In this case, the app has just tighten the gap between countries by offering a service throughout.